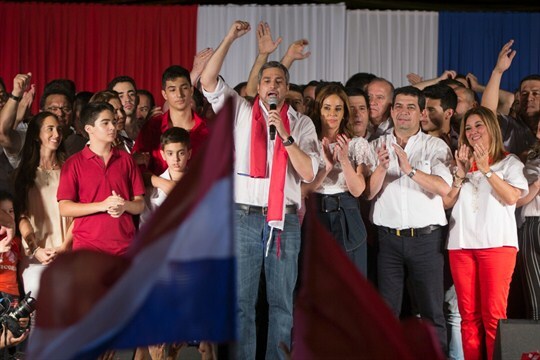 Paraguay’s president-elect, Mario Abdo Benitez, addresses supporters during victory celebrations at the headquarters of the Colorado Party, April 22, 2018 (AP photo by Jorge Saenz). On Sunday, Paraguayans picked a new president and vice president, along with every member in their country’s Congress. There was a lot at stake, starting with the credibility of the voting itself. Paraguay was mired in political turmoil last year after Congress considered expanding presidential term limits—a move that worried many people who had lived through Alfredo Stroessner’s 35-year dictatorship, which came to an end in a military coup in 1989.